Dream In Darkness: Guess What Time Is Drawing Near? You guessed it! Just 2 more days and it is the beginning of the Dream in Darkness Challenge! And for those of you already following us and those of you who have commented faithfully on our posts leading up to this very special day, we have a small "happy" for you to download and use as you wish! 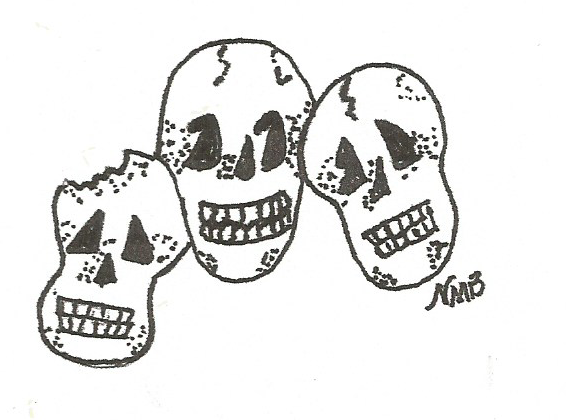 This is a digital stamp drawn by CT Nan who admits to being a very, very beginner drawer. But that's what we are all about here at Dream in Darkness, trying something new out, testing the waters of many different art types without being held to one standard. So as Nan nervously debuts her first attempt at a digi, you too join us in the fun and laughter to come. Remember it's always Halloween here and you never know when you might find some "candy" waiting for you to claim! 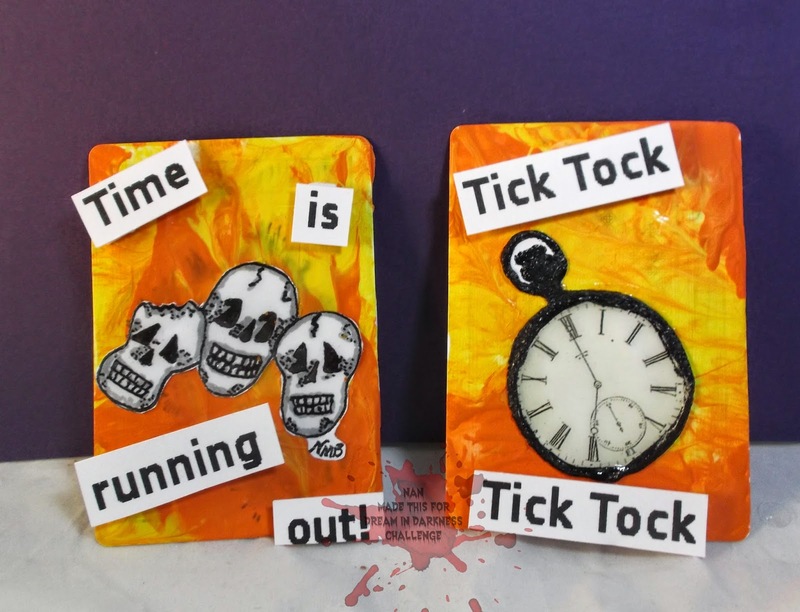 The digi can be downloaded below and here is Nan's attempt "The Skull Amigos" on an altered playing card with a good reminder! Please feel free to take your copy of Nan's digi and enjoy! See you back here tomorrow for one last peek at one of our CT's creepy makes! We are expecting you so don't disappoint us.....we might react badly!!! Buwahahahahah!!!! Fabulous project Nan and thanks for freebie.